furniture grade, (UV protected) 2" Side Outlet 90s, aka, "pvc corners." Slip socket on all three ports. Used for many projects. 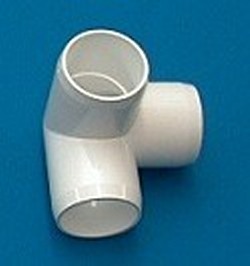 NOT NSF rated fitting, can NOT be used for plumbing projects.